The idea is that the Honda Logo is a small, fuel-efficient car. 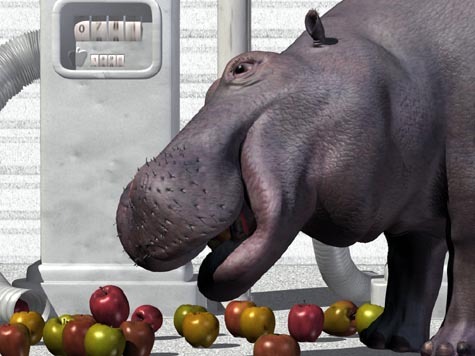 The hippo stands at a gas station, eating apples that come out of a special hippo-feeding pump. (The apples and gas station are also computer graphics elements.) He is surprised when the Honda drives past the gas station without stopping, and he sighs and goes back to filling up on apples.